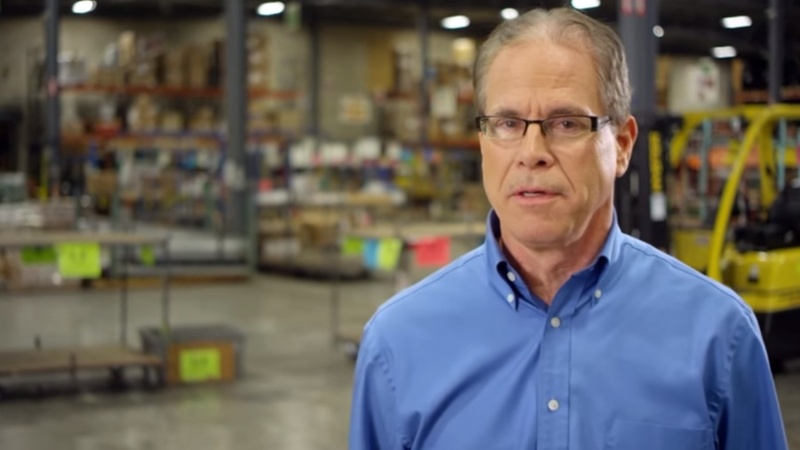 Sen. Mike Braun, co-sponsor of a recently introduced bill banning ex-members of Congress from lobbying Congress, campaigned on the idea that politics shouldn't be a career in this video from April, 2018. Republican Indiana Sen. Mike Braun, co-sponsor of a recently introduced bill banning ex-members of Congress from lobbying Congress, told The Daily Caller News Foundation in an interview that his bill would help get Congress out of a “rut” — but he’s not expecting the legislation to gain traction anytime soon. Braun and Republican Florida Sen. Rick Scott are the cosponsors of the Banning Lobbying and Safeguarding Trust (BLAST) Act, introduced Feb. 28. Braun connected the legislation to his reform agenda, including doing away with taxpayer-funded pensions for members of Congress. Although the lawmakers are “barking up the right tree,” their solution might not be realistic, a government transparency expert told TheDCNF. Scott and Braun want to put an end to lawmakers stepping into the so-called “revolving door of K Street.” Current law mandates ex-House members must wait a year to lobby their former colleagues, while ex-senators must wait two. Few have voiced opposition to the BLAST Act, but Braun predicts “people from everywhere coming out against it” if it ever received a committee hearing. “The bigger challenge is that registered lobbying represents only a small part of the total spent on influencing government policy, and this proposed law would merely encourage even more ex-Members to avoid disclosure while serving as ‘senior advisors,’ ‘strategists’ or ‘consultants at law and PR firms,’” Mehlman said in an email. Braun also discussed President Donald Trump’s “Drain the Swamp” slogan, which the senator said he used some while campaigning. “I think [Trump] just shook the system, like maybe on the Richter scale a seven earthquake, but not many buildings toppled,” Braun said. Braun and Scott want to topple those buildings one at a time, although it’s slow going. Both were in the small club of freshman senators who arrived on Capitol Hill for the start of the 116th Congress. They would always beat the other lawmakers to lunch by at 15 minutes, and a friendship was born, Braun said. “Scott said, ‘Oh yeah, I’ve always believed in being punctual,’ and I said, ‘Well, I just like to be the first one in the food line,’” Braun said with a laugh. They’ve worked on numerous reform-minded pieces of legislation together, including a bill introduced during the partial government shutdown to cut off congressional salaries if Congress fails to pass a budget. It gathered more than 10 cosponsors. “I think until Scott and I got here a lot of people spoke about it in their campaigns, but we’re in here actually dropping bills. That’s the difference,” Braun said. Braun is serving his first term in the Senate after beating former Democratic Indiana Sen. Joe Donnelly in a close race during the 2018 midterm elections. A former state representative, Braun grew his father’s automotive parts business Meyer Distributing and has a multimillion-dollar net worth. He self-funded his Senate campaign through the Republican primary, reported The Indianapolis Business Journal. I Survived Domestic Violence. Here’s Why I’m Voting No on Violence Against Women Act.